France Today, the world’s leading travel and lifestyle title about France, is the only magazine written for a truly international audience of educated Francophiles. Its readers have a love for French travel, culture, gastronomy, shopping & entertainment, art & design, society & politics, real estate for sale and holiday rentals. First published in 1985, France Today magazine is one of the most established titles serving the international Francophile audience. In 2013 it was acquired and re-launched by France Media Group, specialists on France since 2003 and publishers of FrenchEntrée magazine and FrenchEntrée.com. 2016 sees a new era for the magazine, with an increase in pagination to a market-leading 164 pages, a fresh and contemporary new design and a host of new features to bring even more of France’s wonderful destinations, culture and cuisine alive on the page. With a beautiful design and superior production values, the new France Today is a true celebration of all the best that France has to offer – our experienced writers and photographers have a lifelong passion for their subject and love to share their knowledge. We recognise the importance of writing for visitors from not only the traditional markets of the US and UK but also for the emerging growth countries in the Far East and South America. Via a combination of subscriptions, newsstand sales and targeted free distribution, the magazine’s reach is genuinely global: you can find France Today in over thirty countries including the US, Canada, Russia, China, Japan, India, Singapore, Australia, New Zealand, Dubai, Brazil, Mexico, Hong Kong, UK, Sweden, for example. Our website, FranceToday.com, is a unique online resource for Francophiles and travellers to France, packed with practical information, tips on the hottest or still undiscovered destinations, hotels, restaurants, shopping and much more. 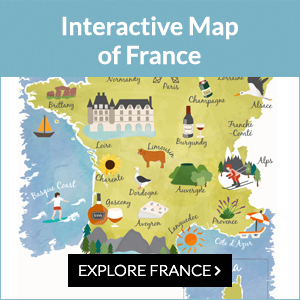 Along with extensive content from our print publication, FranceToday.com also offers a comprehensive interactive calendar of must-see events. France Today’s weekly eNewsletter (Le Petit Journal) is read by thousands of double opt-in subscribers. This email bulletin keeps its Francophile readership connected to France, unearthing the best of French travel hotspots, cultural excursions and more. Editor-in-Chief Guy Hibbert, has travelled extensively in France and lived in the South West of the country for several years. A Publisher and Editor with over thirty years experience, in 2003 he founded the hugely popular website FrenchEntrée.com and has since grown the France Media Group business to become the largest dedicated English language publisher focused on France, with a range of print and digital magazines and a specialist team providing property services to international clientele. The sight of exotic French girls dancing at a school disco in 1985 (during a school twinning trip to Normandy) first piqued Justin Postlethwaite’s fascination for all things French. Later, after graduating in French Language and Literature, he went on to eat and drink his way around in the name of travel journalism – he thinks he might have consumed double his own body weight in confit de canard by now. Justin is the UK Editor of France Today, and also the Editor of FrenchEntrée Magazine, among the world’s leading print and online resources for those looking to buy property or live in France. Art Editor David Eachus has worked on dozens of award-winning consumer magazines and brings his graphic design skills to the fresh new design of France Today magazine. Web Editor Mary Winston Nicklin is an experienced travel writer based in Paris. A Harvard graduate, she has been published in a wide variety of media outlets, including Conde Nast Traveler, USAToday.com, Afar, Hemispheres, Cathay Pacific’s Discovery Magazine, Business Traveler, Luxury Travel Advisor, Jetsetter.com, Rendezvous en France, and Women’s Adventure Magazine. In addition, she served as the founding editor of The Informed Traveler, a nationally-syndicated blog published by Five Star Alliance. Arts Correspondent Sylvia Edwards Davis is a well-travelled professional writer with an international business background. MBA in hand, she toured the world on the wings of her career in the travel and hospitality industry and served in the Board of Directors of two international chambers of commerce. Her writing career combines the best of her business management experience with her interest in human behaviour, travel and art. From her base in France she covers exhibitions, concerts, festivals, museums and cultural events for France Today. Boutique Beat shopping columnist Jennifer Ladonne is a U.S. born writer and editor who moved to Paris in 2004. Aside from her work on France Today she writes extensively for Fodors Travel Guides covering restaurants, shopping as well as a variety of guides to the French regions. She is also a busy ghostwriter and copywriter for special interest catalogues and art exhibitions. Thirza Vallois has lived in Paris for nearly half a century, and holds several postgraduate degrees from the Sorbonne. She is the author of the three-volume series Around and About Paris; Romantic Paris; and Aveyron, A Bridge To French Arcadia. She also wrote the Paris section of the Encarta encyclopedia and Hemispheres’ award-winning story and video Three Perfect Days in Paris. She travels worldwide lecturing on France, is a freelance writer for the international press and contributes to PBS, CNN, Discovery, The Travel Channel, NPR and, in Britain, the BBC and Radio 4. Lanie Goodman moved to the South of France in 1988 from New York City, where she taught French Literature at Rutgers and City University of New York, Baruch College. She is currently based in Nice as a freelance arts and travel writer for publications including Town & Country, Condé Nast Traveler, Interior Design, the Los Angeles Times, The Guardian and the Wall Street Journal Europe. She has also translated several French novels including The Mustache by Emmanuel Carrère and The Machine by René Belletto. Jeffrey T. Iverson, a journalist and native of Saint Paul, Minnesota, has called Paris home since 2000. His stories of maverick chefs, enlightened winemakers and prolific artists have notably appeared in France Today, Time, Centurion and Departures magazines. France-born Marianne Lohse is a highly experienced journalist having covered politics and world affairs before becoming head reporter at the Figaro group. There she was privileged to meet and interview some of the most famous people working in luxury brands, from Karl Lagerfeld to Marc Jacobs. Originally from London, Rooksana Hossenally has lived in Paris for seven years. She writes for The New York Times, The Guardian, Condé Nast Traveller, BBC Travel, Yatzer and is the Paris correspondent for the Forbes Travel Guide. She’s also a freelance Deputy Editor for the Paris edition of Luxos, the online magazine. Keeping tabs on the Paris entertainments scene for France Today, the French-Australian freelance journalist and chanteuse Richelle Harrison-Plesse has lived in the city for eight years. Her career spans print, web and television and she has contributed to The Sydney Morning Herald, The Arbuturian, Selector, BBC Travel and FRANCE 24, among others. A regular columnist for France Today, Theadora Brack spent ten years at the American Visionary Art Museum before moving to Montmartre in 2003 to write for the travel website Eurocheapo. Later she founded her own incredibly popular blog People, Places and Bling: Theadora’s Field Guide to Shopping in Paris. Theadora’s quirky but ever popular column, My Life in Paris, brings a fresh twist to everyday life in Paris, set against a backdrop of famous people and places. France Today, The International Journal of French Culture and Travel, is published by France Media Group, a privately owned company with offices in the UK and France. Established in 2003, France Media Group is a leading publisher of international print and digital editions focussed on French travel, culture, lifestyle and property. For ten years, its website FrenchEntrée.com and print title FrenchEntrée Magazine have served audiences interested in holidays, property and living in France. France Media Group has been a pioneer in the digital field, publishing a range of specialist e-newsletters and digital editions. In 2012 it launched .fr France Travel, a pure digital magazine for iPad/tablet users, bringing France to a global audience with beautiful and inspiring photography and interactive editorial. France Media Group has also worked closely with French regional tourist authorities to create bespoke digital and print publications. If you would like to know more about how France Media Group, please email ben@francemedia.com.